convent. On the evening of All Saints’ Day we joined with Qaraqosh’s Syriac Catholics for Benediction followed by Mass in a burnt- out church. To join in prayer with these living saints who have gone through so much suffering was something I’ll never forget. 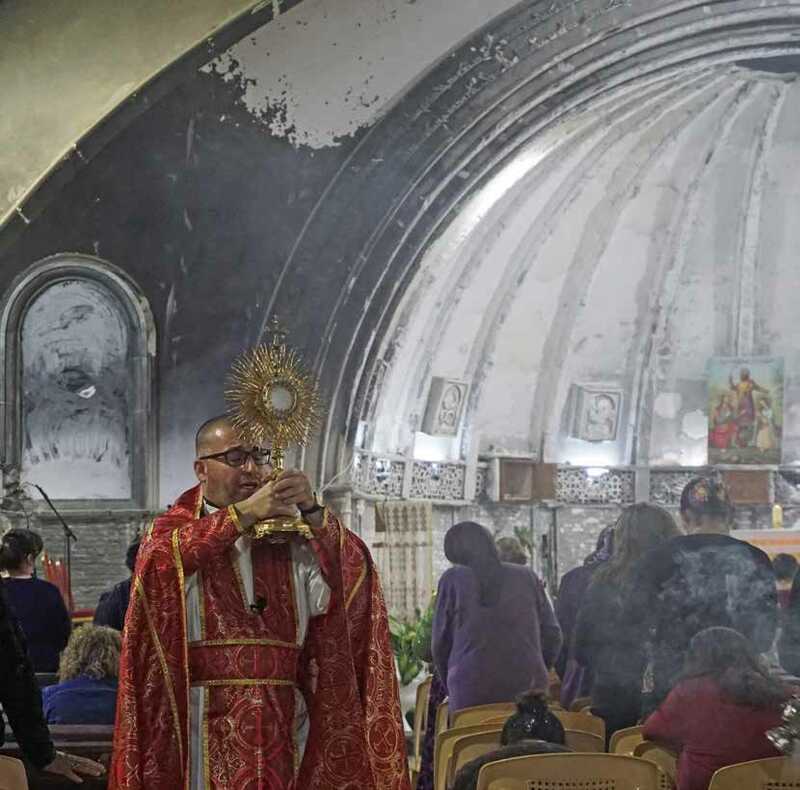 Benediction in the burnt-out Mar Behnam Syriac Catholic Church, Qaraqosh. We visited the biggest church in Iraq, the Immaculate Conception, Qaraqosh. It had been devastated, statues smashed and murals shot at, before Daesh torched it. We said a prayer there in the burnt-out hulk of the nave of the church – but restoration is underway. I stood at the tomb of Fr Ragheed Ganni, who was shot dead in Mosul on 3rd June 2007 – showing that the suffering of Iraq’s Christians predates Daesh (ISIS). 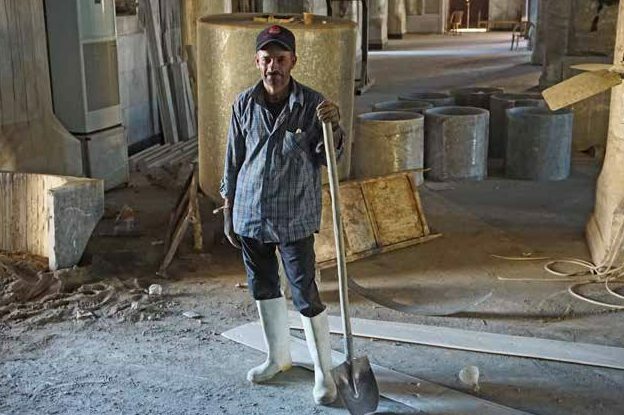 His final words before he was executed – along with three deacons – were: “How can I close the doors of the House of God?” Daesh devastated the House of God where Fr Ganni’s tomb was when they seized Karamles. But now they have been driven out, the church is open once more. 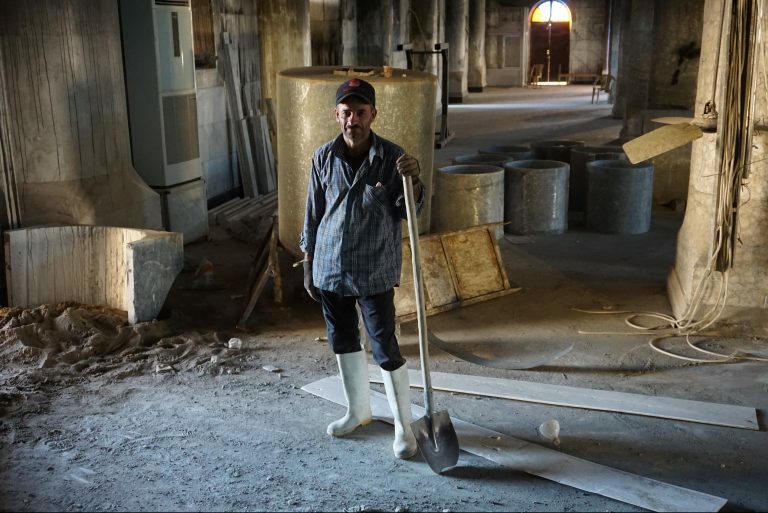 “The unique presence of Christians here is to bring the light of Christ – we have been here since the 1st century” Thabet, parish priest. 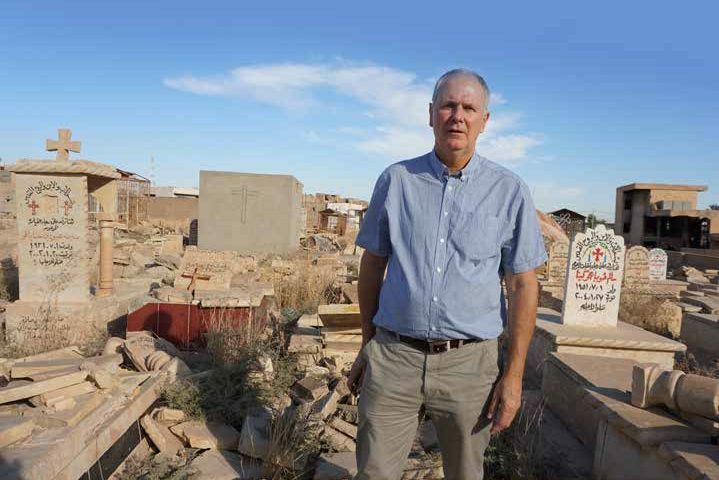 ACN’s Neville Kyrke-Smith surveys a devastated graveyard in Batnaya. 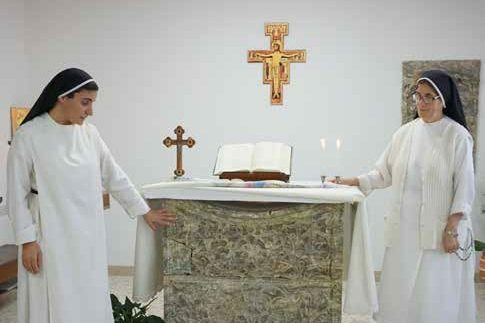 ACN helped the Sisters rebuild the altar and chapel after Daesh destroyed it. When I arrived in Karamles, I asked where Gazella was living. 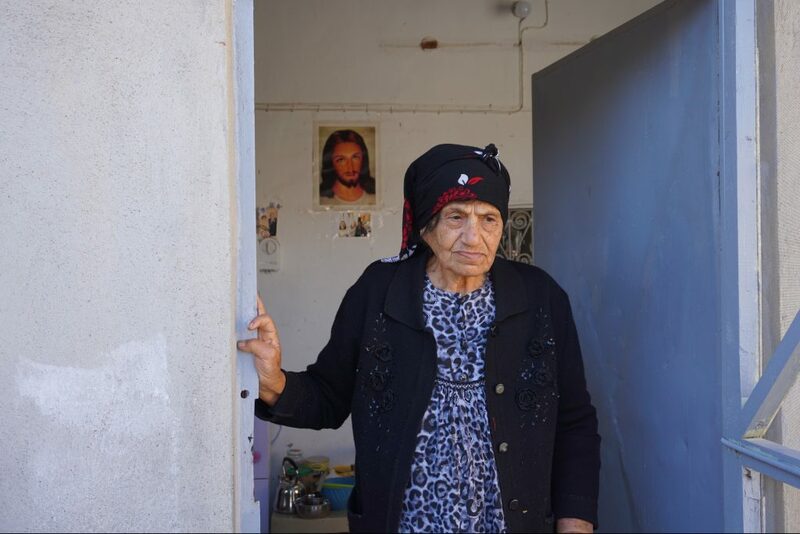 I first met the 84-year-old grandmother in a camp in Kurdish Iraq’s capital Erbil, where thousands of Christians, and a small number of Yazidis and others, were cared for by the Church after Daesh (ISIS) drove them from their homes. And it was only through your generous love that Aid to the Church in Need could help the Church’s work supporting thousands of refugees in Erbil. 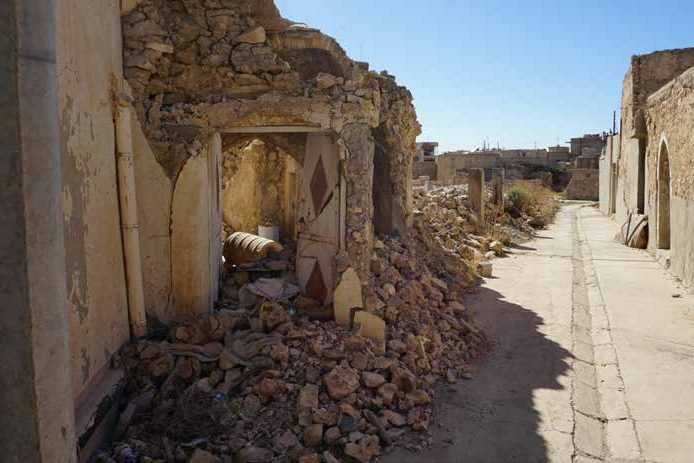 After Daesh seized Karamles in 2014, Gazella and the dozen or so elderly or infirm Christians left in the village were herded to St Barbara’s shrine on its outskirts and ordered to convert. 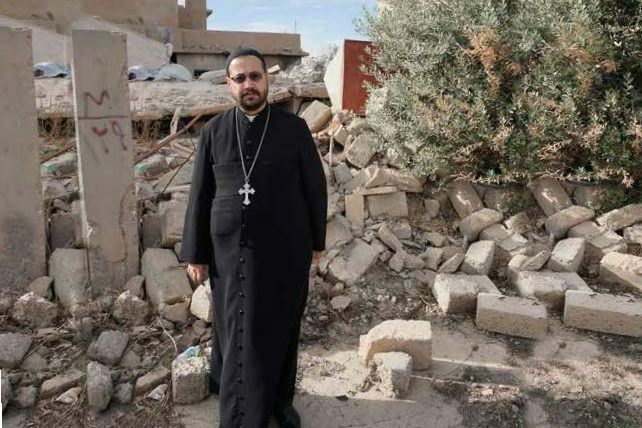 She heroically replied: “We believe that if we show love and kindness, forgiveness and mercy we can bring about the kingdom of God on earth as well as in heaven… If you want to kill us for our faith then we are prepared to die here and now” – and by a miracle Daesh let the Christians go. Gazella has now been able to return home.